Think beyond SEO! What happens when someone visits your website? What does your site do to actively capture leads, and convert prospects into paying customers? Our core services focus on the 3 key areas of internet marketing: your website, email marketing, and social media. Our Edge Sender Email Marketing System helps you stay in front of your prospects until they are ready to buy. This type of follow-up marketing guarantees future revenue, and will help grow your small business. Capture new leads from your website, and integrate social sharing features. Build your email list through social media and lead capture forms on your website. These are the things your small business needs to be doing to have an edge over your competition. 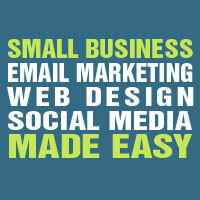 Our internet marketing solutions will help you. To inquire about any of these services and learn how they can increase sales for your company, please go to our contact page or call us at 813-504-3810. Fantastic Edge Marketing provides quality web design, email marketing, and social media solutions to small businesses to help them grow. The company was founded in 2010 in South Florida by Chris Gas. While previously developing websites for clients in a variety of industries, Chris noticed that most small businesses were doing a terrible job of marketing themselves online. To learn more about automated lead capture and follow-up for your company’s site, visit www.fantasticedge.com. Get Our Exclusive Internet Marketing Tips In Your Inbox! It’s FREE to join our private list. Your information is secure, and you may unsubscribe at any time. Sign up now and receive our new guide “10 Proven Ways To Make More Money From Your Small Business Website” absolutely FREE!